On December 16, 2013, our client was working as a crane maintenance operator on the Tappan Zee Bridge Construction project when he slipped, fell, and suffered serious life-changing back injuries. He has undergone significant medical treatment and in October of 2017 he and his wife settled their claims against the New York State Thruway Authority for $3 million. At the time of the construction accident, he was working for Tappan Zee Constructors, LLC on the construction of the new Tappan Zee Bridge. 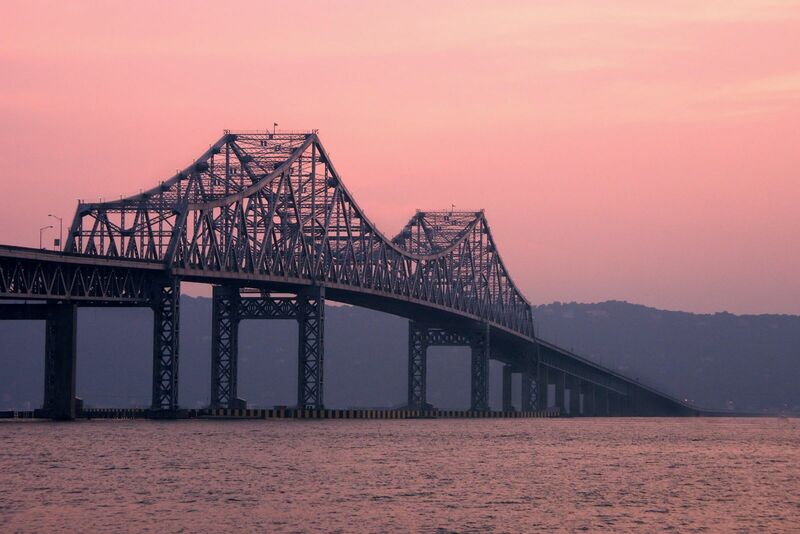 Tappan Zee Constructors was under contract with the New York State Thruway Authority to build the new bridge and the New York State Thruway Authority had a legal responsibility to provide a safe working environment for our client and everyone else who was working on the project. While he was performing his work duties on December 16, 2013, he slipped on ice and fell while working on a barge. When he fell, his back landed on a raised tie-down fixture on the surface of the barge. The icy patch upon which he fell was located in a makeshift passageway that was created by the positioning of four port-a-potties on deck. After he fell, he was removed from the barge in a stokes basket, taken back to shore, and then taken by ambulance to the hospital. Some of his injuries were new and others were exacerbations of pre-existing conditions. As a result of his injuries, he required medication, sacroiliac joint injections, physical therapy, and multiple surgeries. His surgeries took place on July 8, 2014, November 4, 2014, October 27, 2015, and August 10, 2016. Despite this extensive treatment, he is still experiencing significant pain and limitations because of the injuries he suffered in his December 2013 work accident. Given his significant injuries, his legal recovery was especially important to his future. Even though our client did not live in New York, his accident took place in New York and he was able to pursue a recovery pursuant to New York Labor Laws. Accordingly, we were able to use Section241(6) of the Labor Law of the State of New York and Section 23-1.7(d) of the New York State Industrial Code when arguing that he should make a fair recovery. Section 23-1.7(d) of the industrial code specifically states that employers shall not permit employees to use a passageway (or other working surfaces) that have slippery conditions. Even today—years after his fall on an icy Tappan Zee construction barge—he is unable to go back to the job he used to work. He is still suffering from pain, stiffness, lack of a range of motion, and difficulty sitting, standing, and walking for specific amounts of time. He remains on daily medications. Our firm was able to help our clients settle their claims for $3 million. That money will help them move on with their lives and invest in a restaurant and hotel that they have wanted to invest in since his injuries occurred. This settlement provides them with the opportunity and the security to move forward with this venture. Our goal was always to help our clients move forward with their lives after his injury—just as it is for our other clients who have been hurt on the Tappan Zee Bridge project and other New York construction projects. If you have been injured, then you deserve to know more about your specific rights and whether there may be legal help available for you. Please contact us online or call us directly at 212.465.8840 to schedule your free, no-obligation consultation with an experienced New York construction lawyer.